What is the real difference in these two permissions. It's actually only one difference as shown below. For View Only permission, "Open Items" is not checked. Now, let us see some action. As you can observe under Send To, Download a Copy link is visible. User can click this and download the document. Here, Download a Copy is not available, hence user cannot download the document. Also note that, "Other Location" option is also not available here. Some users reported that search does not work for View Only users. However, when I tested search pretty much works and it indeed showed results. However, when clicked on document URL, it showed Access Denied message. Looks like, it tried to download the file with client application (MS Word) instead of opening within browser. 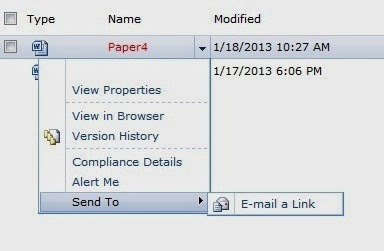 Summary: Download option is not available for "View Only" users provided Office Web App is configured in the farm. 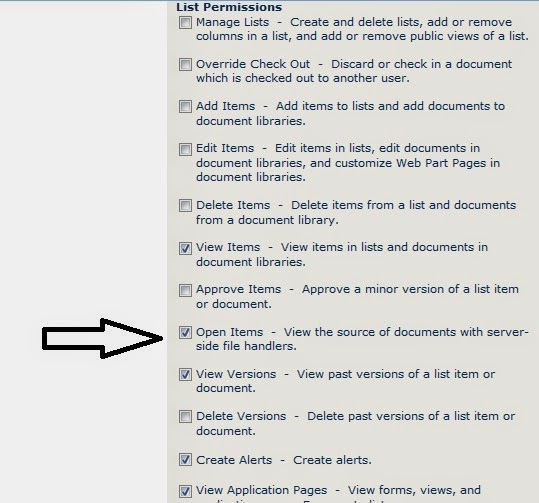 This is applicable only for Office Documents which is supported by Office Web App. 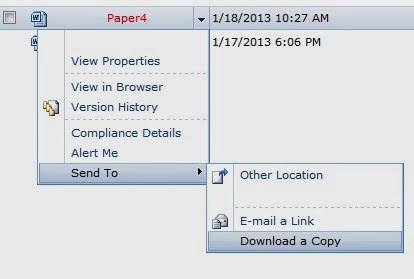 Download option is available for non office files such as .TXT, .PDF etc.